You might think that that the BMW X5 is still a relatively recent addition to the company's range, but the truth is it’s been around for almost two decades. Indeed, it was launched in 2000, when audiences were still flocking to see the first Harry Potter movie, and Nokia rather Apple was making the mobile phone everyone wanted. Above all, that first X5 owed its success to the fact it was one of the first large SUVs to put on-road comfort and driving fun before the ability to summit the nearest mountain. However, these days the competition is much tougher, so the new X5 definitely has its work cut out. Here we've pulled together everything you need to know about it. 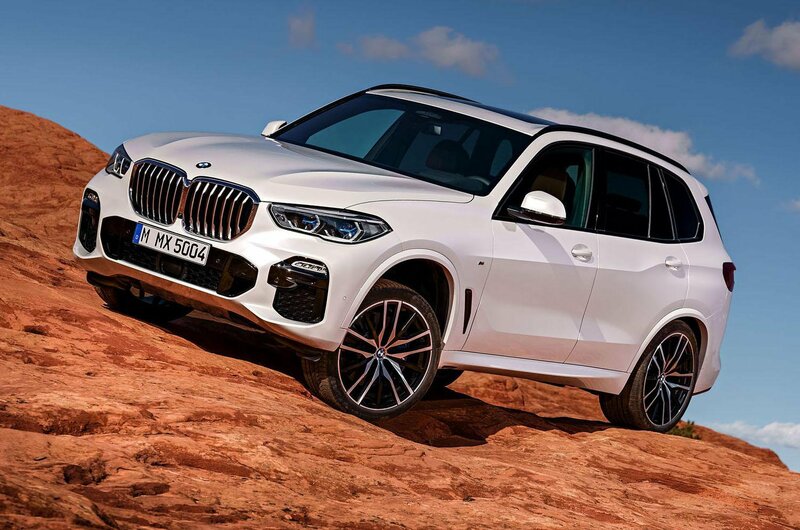 To help this fourth-generation X5 compete with luxury SUV rivals such as the Audi Q7 and Volvo XC90, BMW has given the car an imposing look, including a front that's dominated by the biggest grille yet seen on a production BMW. 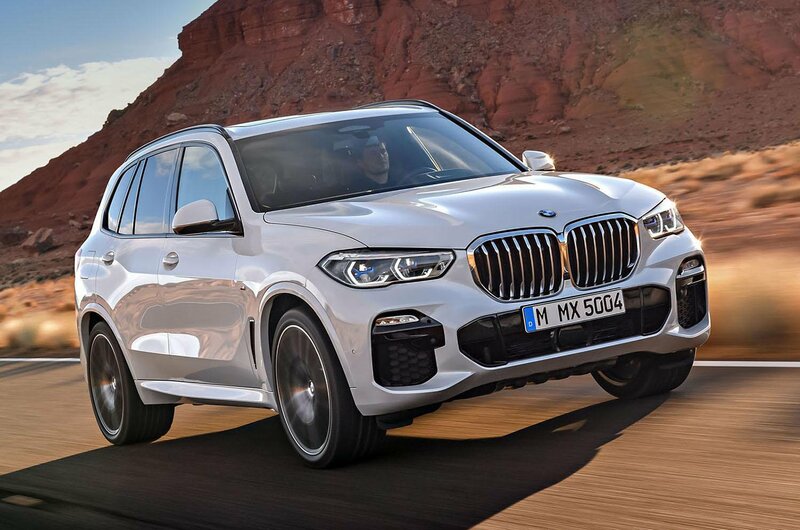 In addition, buyers choosing either an xLine or M Sport version of the X5 will find their car's added off-road prowess or on-road performance accentuated through extra exterior trim pieces, finished in either chrome or gloss black. You can specify alloy wheels ranging from 18in-22in in diameter, and LED headlights come as standard. However, BMW’s laser lights, which allow you to see further at night, are only on the options list. 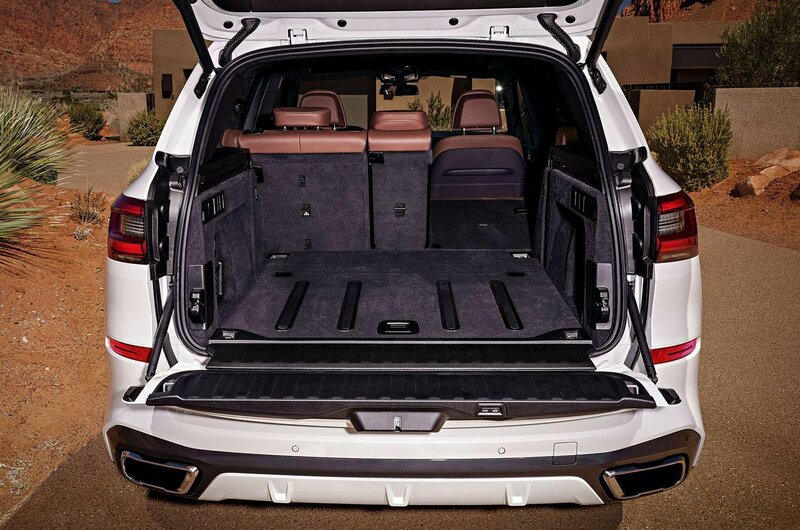 The new X5 is larger in almost every dimension than the outgoing model, features wider door openings to aid getting in and out, and has more space in between its front and rear axles – which in turn means better leg room for rear passengers. This increase in size hasn’t resulted in a larger boot, though; the car has the same 645 litres of space as today’s X5, meaning both the Q7 and the XC90 offer more. On the up side, BMW has retained its handy split tailgate and added a powered version of this to the options list. 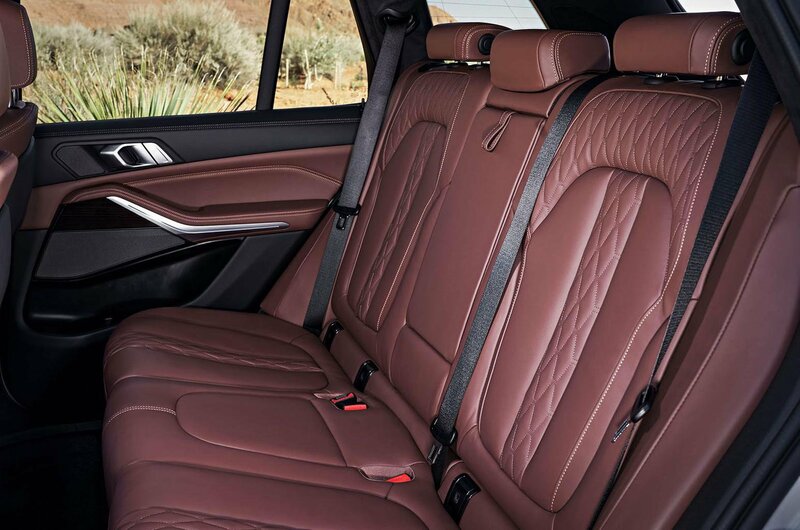 Plus, as before, you can specify a third row of seat that turns the X5 into a seven-seater. In the front of the car, meanwhile, there's a new (and standard) 12.3in digital instrument cluster. 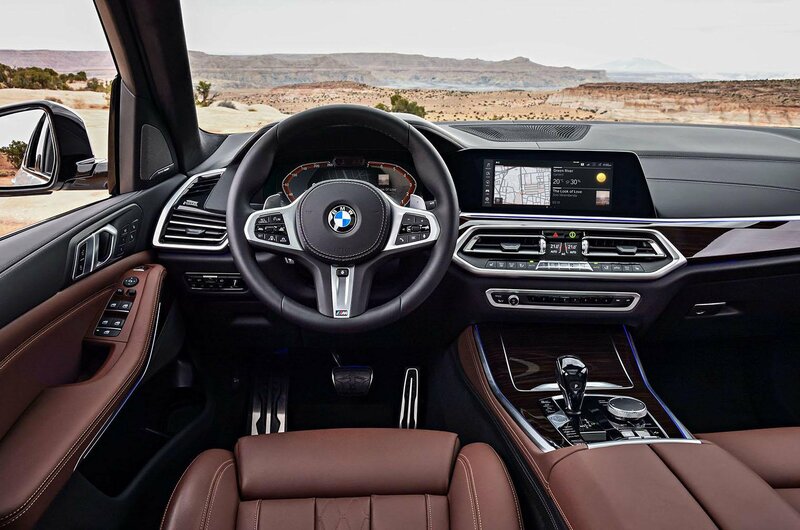 Most of today's BMWs have digital displays in place of analogue dials, but this is the first time you’ll be able to configure the display to show you things like the navigation map as well as driving information. There’s also a separate 12.3in infotainment screen in the centre of the new X5's dashboard, which can either be controlled through touch, gesture, or by using a rotary controller between the front seats. We already think that BMW’s iDrive is one of the best infotainment systems around, so this latest version should prove easy to use. As you’d expect, it provides Bluetooth connectivity and can function as a wi-fi hotspot. The interior of the new X5 also features redesigned seats, which are electrically adjustable and heated as standard, while a large panoramic glass roof floods the car with light. Buyers can specify two 10.2in screens to keep rear passengers entertained, while other new features include cupholders which can cool or warm your drink, and a 20-speaker stereo system from Bowers and Wilkins. Three engines will be available at launch, with the 335bhp 3.0-litre six-cylinder xDrive40i being the sole petrol option. The biggest seller in the UK, though, is likely to be the xDrive30d diesel. This 261bhp 3.0-litre six-cylinder unit is the most efficient engine in the range, returning 47.1mpg and emitting 158g/km of CO2 on the new WLTP test cycle, which is more representative of real-world driving than the old NEDC test. 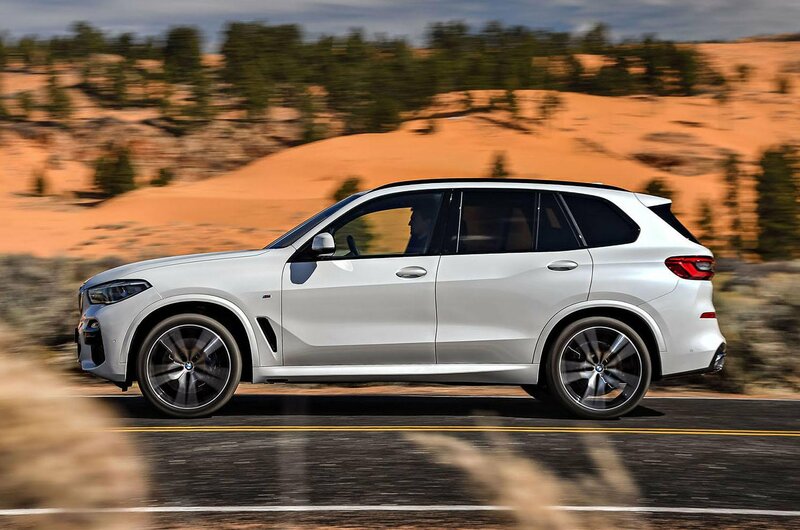 The xDrive30d is no slouch, either, powering the X5 from 0-62mph in 6.5sec and on to a top speed of 143mph. Those seeking more performance can opt for the M50d diesel, which offers a heady 395bhp and can cover the same 0-62mph sprint in 5.2sec. And there will be more engines to come, including a gutsier version of the 3.0-litre diesel and a plug-in hybrid variant which is likely to combine a 2.0-litre petrol engine with an electric motor. This xDrive40e model’s specifications have yet to be announced, but expect an electric driving range of at least 30 miles. 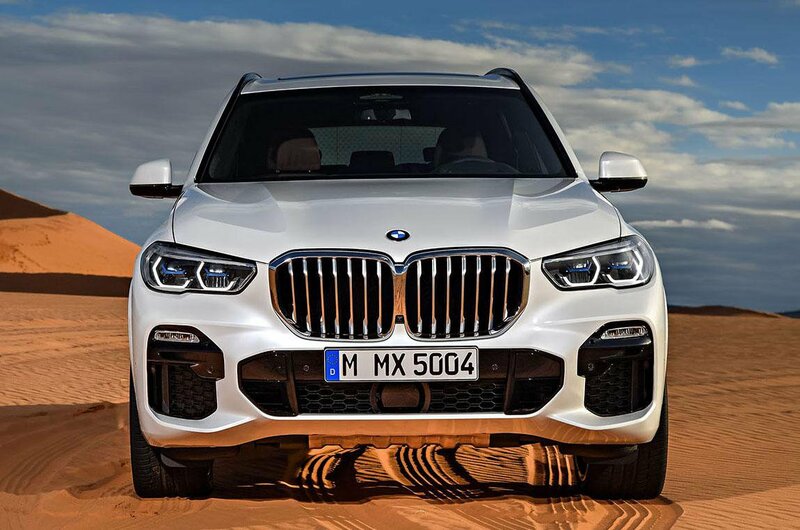 The outgoing X5 remains one of the sharper and more engaging luxury SUVs to drive. In an effort to build on this, the new car features so-called Integral Active Steering, which partly turns the rear wheels as well as the fronts to improve low-speed maneuverability and high-speed stability. Anyone planning on doing serious off-roading can opt for an off-road package which includes under-body protection and four driving modes tailored for sand, rock, gravel and snow. 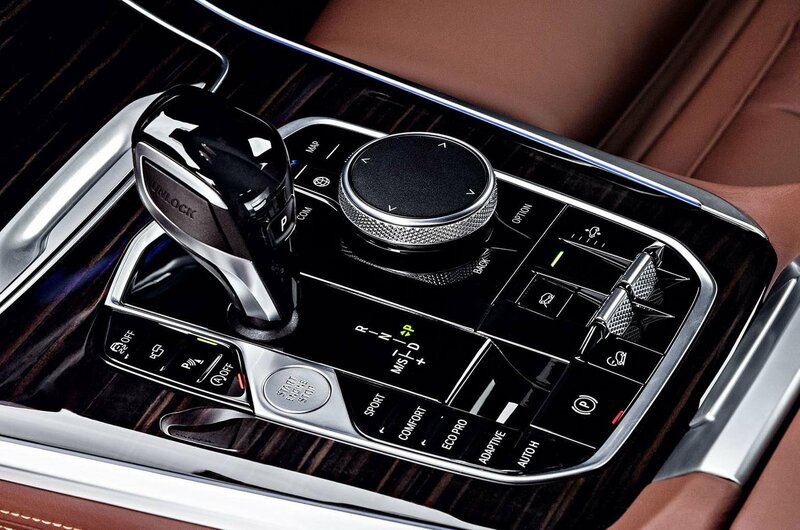 However, BMW’s xDrive four-wheel drive system is standard across the range, as is an eight-speed automatic gearbox. 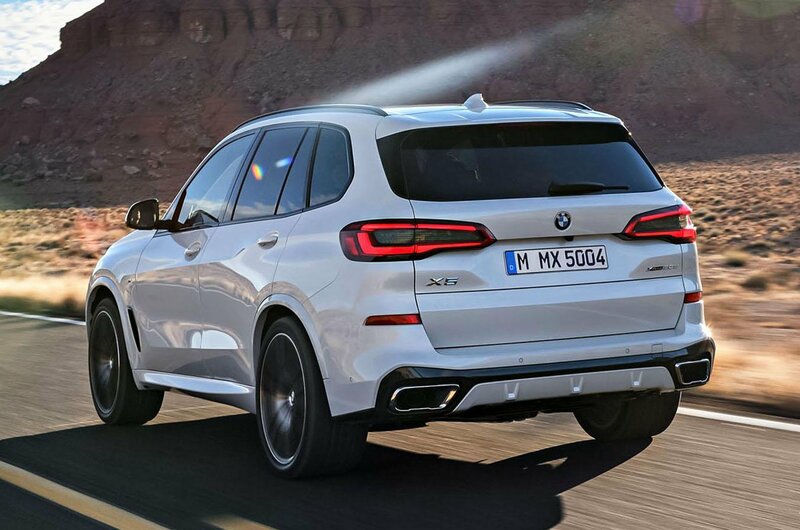 Standard assistance kit on the new X5 includes cruise control and automatic emergency braking, while adaptive cruise control, lane-keeping assistance and lane-changing assistance are all optional. Also on the options list is a system which can bring the car to a halt autonomously if the driver is incapacitated. And there are autonomous systems available to help you reverse along a road and park. Prices for the new X5 start from £56,710, making it an expensive proposition next to both the Audi Q7 and Volvo XC90 – although a Mercedes GLS will cost you more still. 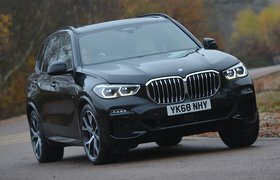 Like all of those rivals, though, the X5 should hold on to its value well, which is good news if you’re thinking of buying on a PCP finance deal.